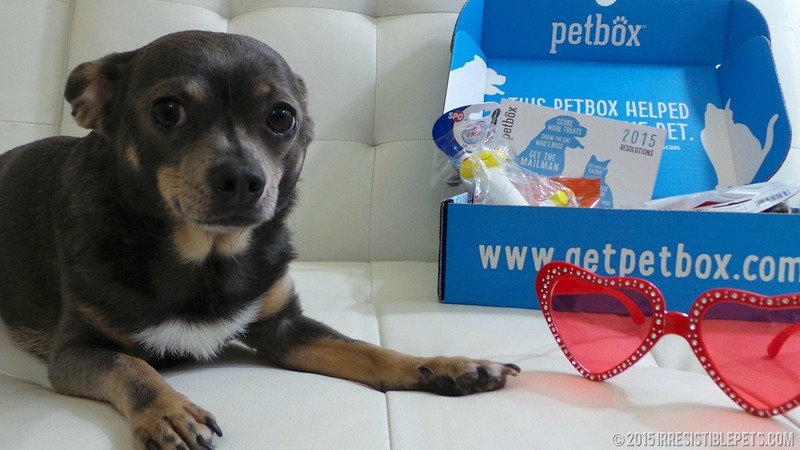 Valentine’s Day Surprise Giveaway from PetBox! 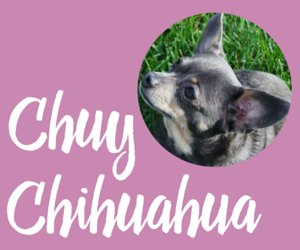 Chuy and I are 2015 Brand Ambassadors for PetBox, the monthly subscription box service for pets. Each month we share our favorite items with you and because were ambassadors, you always get a 10% discount off any PetBox subscription with our code IRRESISTIBLEPETS. 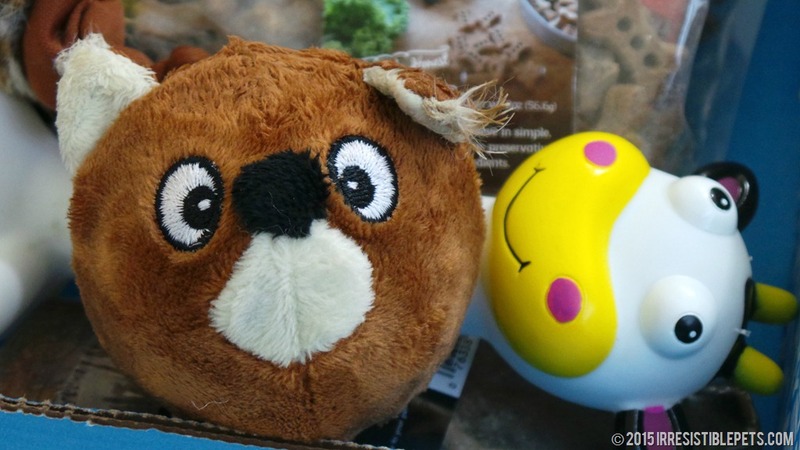 Some of my favorite items from PetBox are the dog toys. 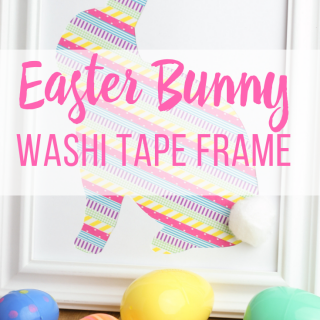 They are really durable and have lasted longer than any of our other toys! 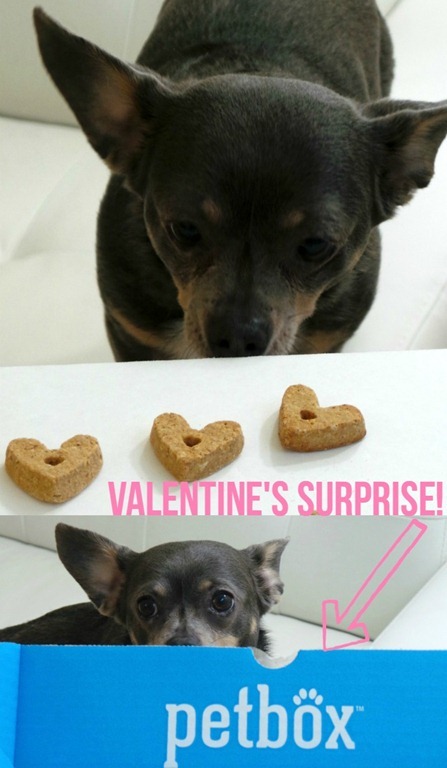 Chuy also loved the heart shaped bacon and cheese treats too! PetBox is perfect for pet parents that like to discover premium pet products without spending a ton of money. They send you a box full of goodies each month, so you can try out different treats, toys, accessories, and grooming products. Each month is different so its a fun surprise for me and Chuy when the blue box arrives! 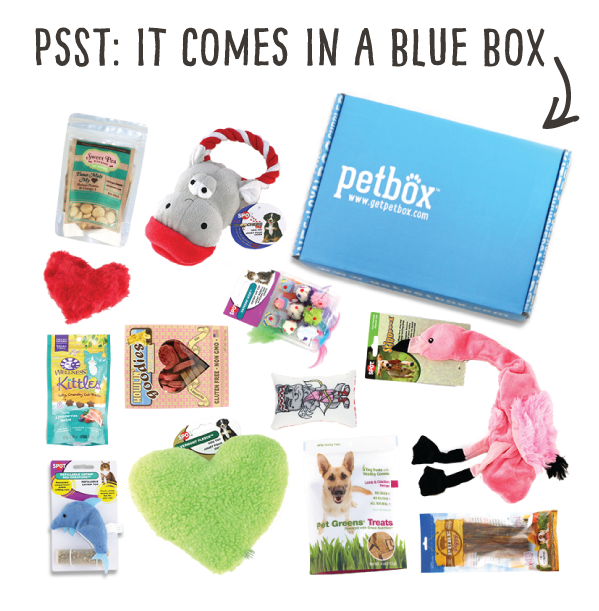 PetBox subscriptions start at $9.95/month and you can customize and add as many items as you want! Dont forget to use our promo code IRRESISTIBLEPETS to save10% off any PetBox subscription. Valentines Day Surprise PetBox Giveaway! 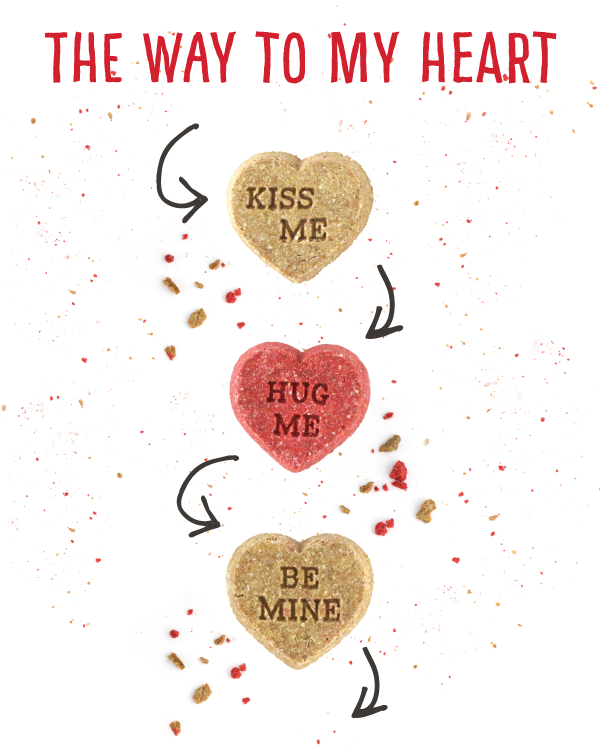 As a special Valentines Day surprise, PetBox is giving away one PetBox monthly subscription to an Irresistible Pets reader. To enter, fill out your information below in the Rafflecopter widget. The giveaway will end on 2/19/15. I am a PetBox Brand Ambassador for 2015 which means I receive product and/or compensation to share my honest review with you. 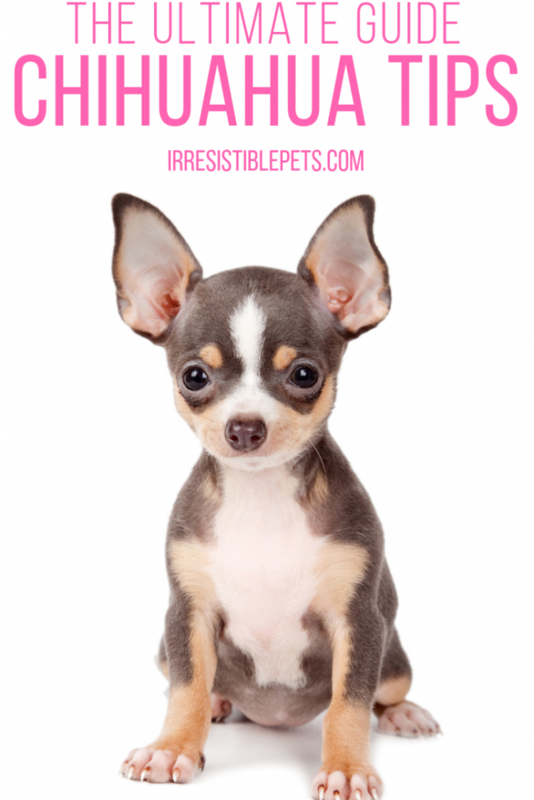 Irresistible Pets only shares information about things we like and believe you will benefit from as well. My dog could use a new toy every day. I would love to win this for my cat, because she’s such a good kitty and this would help me spoil her even more then she already is. I would love to give my cats a Petbox because they seem bored sometimes. I think this would give them something to do. 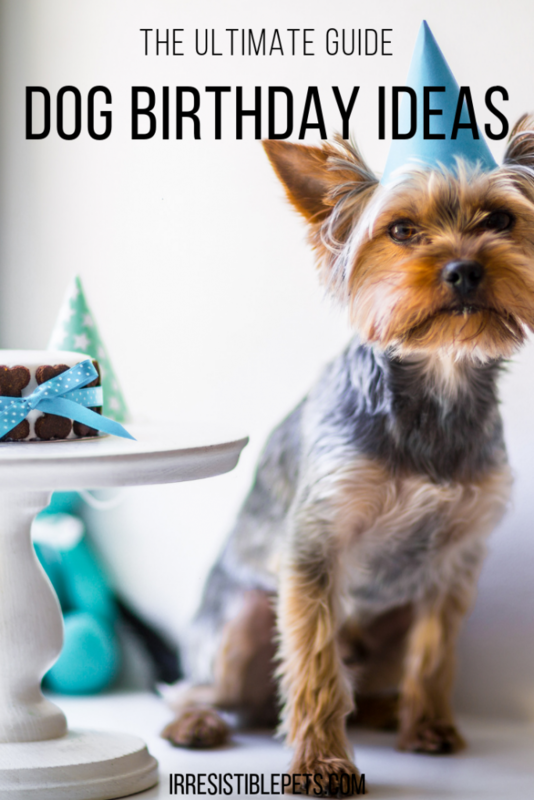 My dogs don’t get enough attention these days with my busy schedule, so I would love to get them something special! I have 6 rescue cats who would love to gets new toys or snack! 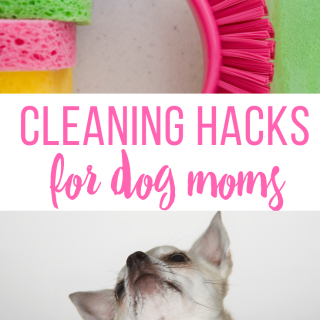 Have wanted to try this for my babies, but not sure if they are for xl dogs! lol I have 2 three yr old Gr Prynees that love to open the mail! They would love to be able to open something just for them and not those old horses out back! I know my aussie would also love this! He’s 12 yrs young and still loves his toys! Thank you for having this giveaway! I would love to get petbox because its awesome and it always has a large variety of choices! My kitty-boy is getting on in years and new things tend to perk him up and keep him interested in his surroundings! My dogs can always cheer me up, no matter what! They have become a wonderful addition to our family, and I love them with all my heart! 🙂 I feel like they definitely deserve some extra Valentine’s Day treats. My dogs and cats are so special. I don’t want to imagine life without them! They enrich my life so much! 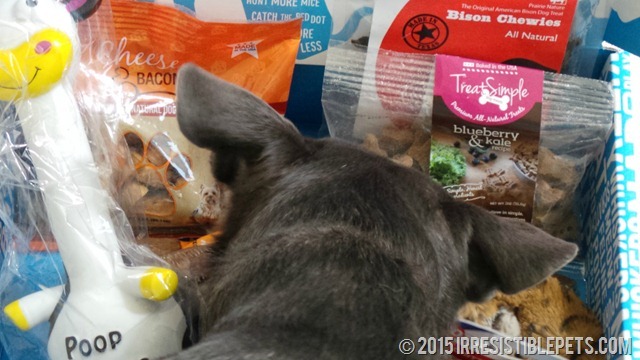 My dog loves trying new toys and treats – too bad I hate shopping. I love the idea of surprises just arriving for him! I don’t have a pet right now, but My mom has cats. I’d love to give this to her. My cats would love a PetBox for a few new toys and treats! Bird watching is slow this time of year with all the snow. 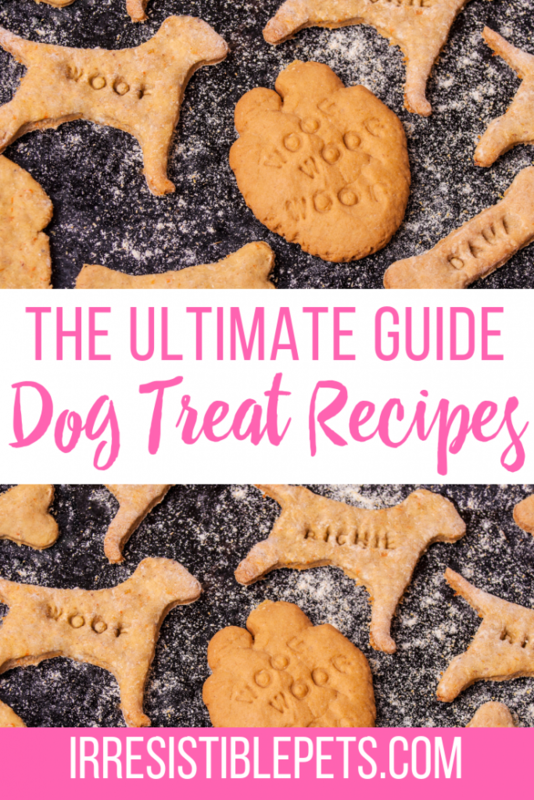 I would love to give this to my dog because she always loves new toys and treats and I love to see her happy! I would like to give a petbox to my dogs because it looks like so much fun! 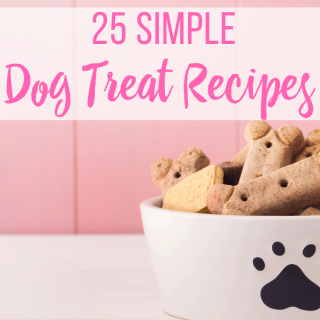 I’m sure my dogs would love all those wonderful goodies! I would love to give this to my new rescue, Mike the senior dog! bcause he just can’t be spoiled enough in my opinion. My little girl would love this and since I spoil her rotten I would love to give it to her. She looks like yours but she is blonde. When I come in after shopping with all the bags she goes nuts. She digs through the bags to find what I bought for her. Its soo cute! She would be in that box before I set it down. 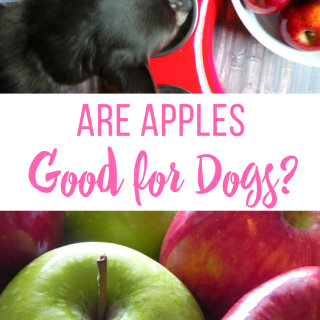 My dogs & cats would love new toys & treats. In fact, I know for certain that my cats would even love to play with the box it came in! I would like to get a PetBox for our daughter’s sweet Pomeranian. I know they would both enjoy having the box of doggie items. I would love to give this to Casper (my fur baby) because he deserves something nice. Would love to win for my 2 girls!